Steve Horowitz represents management in labor and employment matters. 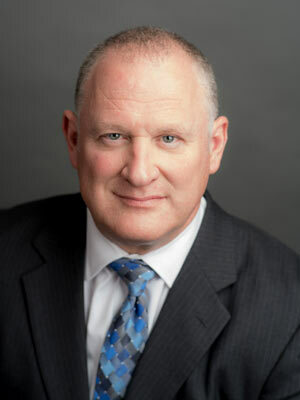 Specifically, his labor law experience includes negotiating collective bargaining agreements; conducting grievance and arbitration hearings; handling and litigating certification, impasse, and unfair labor practice proceedings before the National Labor Relations Board (“NLRB”); analyzing legislation, court and arbitration decisions and collective bargaining agreements to assess trends in labor relation matters; and preparing, administering and analyzing salary and benefit surveys for negotiations. Mr. Horowitz’s expertise in employment law includes litigating State and Federal cases on behalf of employers involving, but not limited to, Title VII, the ADA, the ADEA, OSHA compliance, the Fair Labor Standards Act, ERISA, the National Labor Relations Act, the Davis Bacon Act, various State Laws Against Discrimination, CEPA, Wage an Hour, and the prevailing Wage Act; and preparing personnel handbooks and policies involving issues such as drug and alcohol testing, absenteeism and leave of absence. He lectures frequently on employment – related issues, including Family and Medical Leave Act, workplace harassment, wage an hour compliance, effective hiring and retention, drafting employee handbooks, and workplace anti-discrimination laws. Mr. Horowitz graduated from Emory University with a BA degree in Political Science. He graduated from Georgia State University School of Law, and is admitted to practice before numerous State and Federal bars, including the United States Supreme Court. Mr. Horowitz is a member of the Labor and Employment law sections of the American Bar Association, and is consistently selected as one of the Top One Hundred Labor Attorneys in the United States by the Labor Relations Institute.